What would a real life Aquaman look like? What might actual communication between humans and undersea creatures sound like? And why are we so drawn to the science of superheroes? The department took on the Science of Aquaman at North Carolina Comicon. Associate professor Steve Hall joined a panel hosted by NC State Engineering alumna Tamara Roberson, host of Scijinks and Mythbusters Jr. 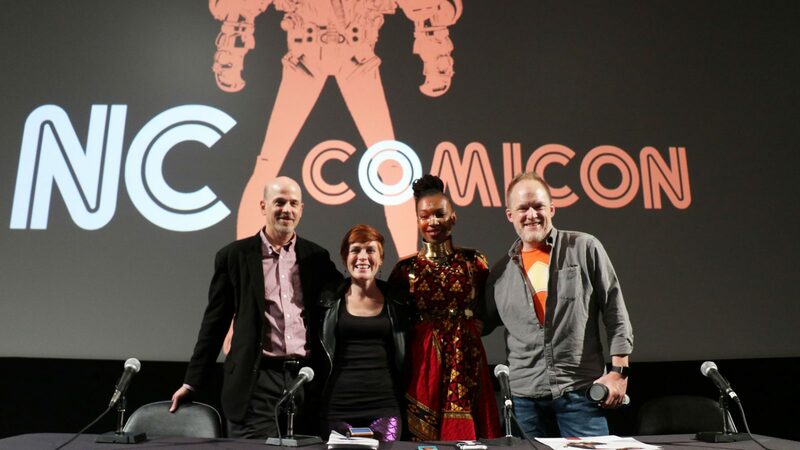 Guests on the panel included Matt Brady (Educator, Founder of TheScienceOf.org), Afua Richardson (Black Panther: World of Wakanda, The Book Of Mer). While it was a fun opportunity to participate in the panel, Hall was especially eager considering the whole new audience the department was able to reach. Want to see the full panel? You can watch it here. Special thanks to NC State Industrial Systems Engineering (ISE) for providing footage of the full panel. Check out their site as well to see ISE faculty tackle the science of superheroes.